View More In Ovens & Toasters. 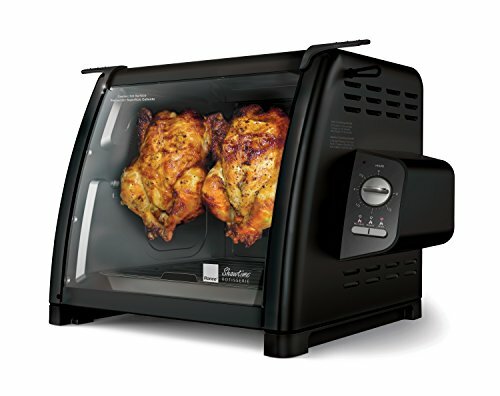 The sleek and stylish 5500 Showtime Rotisserie is a modern version of the Showtime classic. A curved glass front allows you to see all your foods rotating at the precise speed to achieve optimal cooking results. Continual rotisserie basting results in uniformly browned and crisped food on the outside, while keeping all the moisture and flavor on the inside. As it rotates, the excess fat and grease drip down into the removable drip pan below. All removable parts are dishwasher safe, so cleanup has never been easier. If you have any questions about this product by Ronco, contact us by completing and submitting the form below. If you are looking for a specif part number, please include it with your message.